Juicing has been huge in the wellness world for years. Purported to cleanse, detox and help reduce inflammation in the body. Juicing has often been seen as a quick way to boost your health. Today, the demand for food to offer more specific functional benefits paired with our busy on-the-go lifestyles is driving innovation in this space. Consumers not only want health-promoting snacks and drinks, but they want them quickly and easily. Right on target with this trend, nutrient-rich juice shots provide a natural boost of nutrition in quick grab n’ go bottles. According to Mintel data, the share of juice shots in total juice launches in Europe has increased sixfold over the past four years. Functional juice shots were seen everywhere at the world’s largest natural, organic and healthy products event, Expo West, this month! Made with pure, concentrated doses of fresh fruits, vegetables, herbs, and other ingredients, juice shots are promoted as a preventative measure to boost consumers’ overall wellbeing or as a quick way to address specific health issues. Most commonly, the blends are designed to help boost energy levels, support the immune system, aid digestive health, and help relieve cold and flu symptoms. Ginger has by far been the leading ingredient when it comes to juice shot innovation. It’s often combined with lemon juice and dubbed as a ‘wonder plant’ for it’s reported benefits in relieving pain and muscle soreness, immune support and lowering blood pressure. Actress Selena Gomez swears by her daily ginger shot every morning! So how can you make the most of this craze, even if you don’t have cold storage? 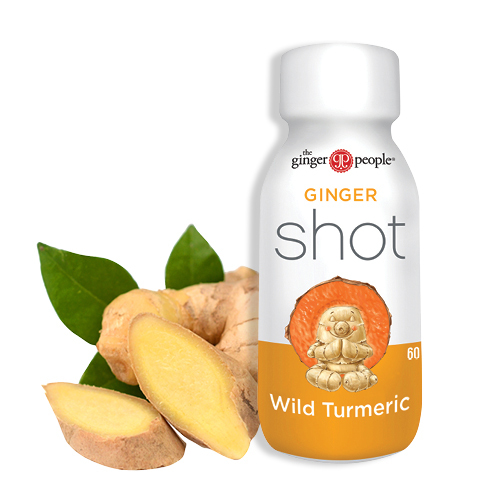 The Ginger People have launched their innovative Ginger Shot with Wild Turmeric in a 60ml shelf-stable bottle. Packed with goodness and tucked neatly into an attractive self-ready CDU, these little gems retail at $4.95 and are loaded with grab n’ go goodness! These nutritious shots are appearing in various places in stores, including on shelf next to full-sized grab-and-go juices, in the produce aisle, and in pharmacies either at the counter or as part of a larger natural health and wellness display. 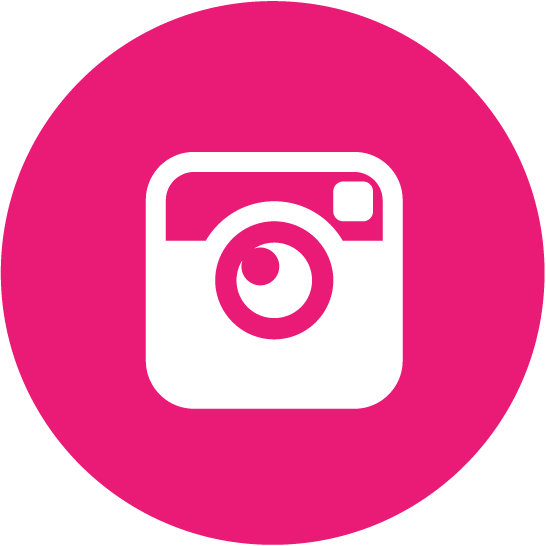 Place them front and centre for an enticing upsell that appeals to a wide range of consumers. If you want to be seen as the store with the new, innovative and on-trend products then get in quick, as these are going to be a hot seller! 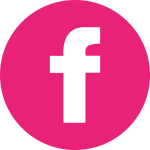 If you haven’t got an account with us, you can register here. Otherwise, jump online and order your stock today! 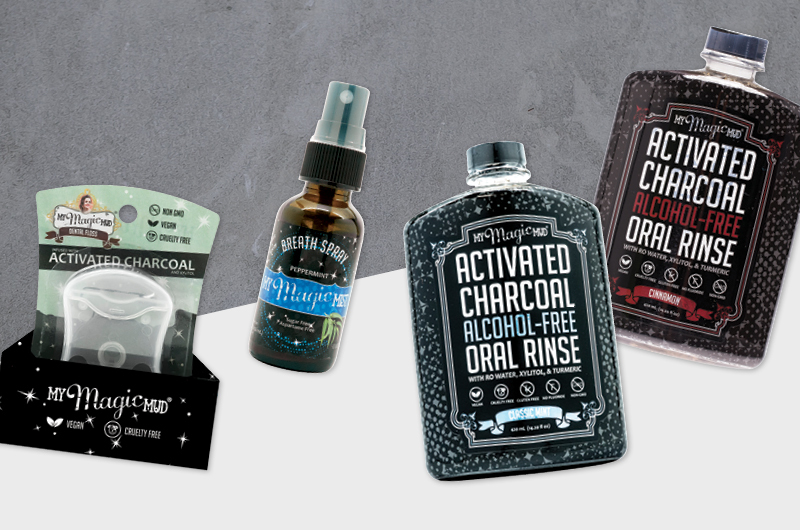 Many have heard about activated charcoal teeth whitening, but few know the story that led to this global craze. Watch the short film above to discover the determined woman who started it all, and be inspired by the vision and passion that has changed the oral care industry, forever. At Unique, we couldn’t be more proud to stand alongside and represent Jessica and the team at My Magic Mud here in Australia. 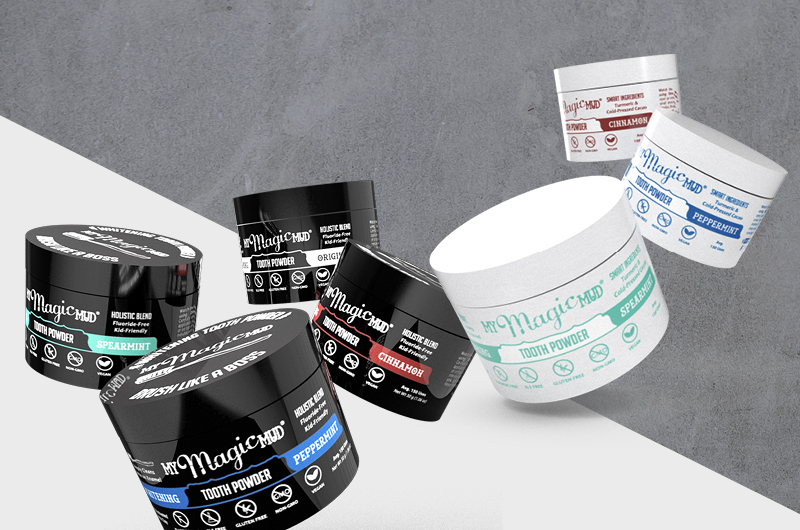 If you’d like to be a My Magic Mud stockist, simply order your product online via our store, or call our friendly sales team on 1800 787 904. NEW CLIF BAR IS A CONVENIENT TAKE ON A CLASSIC FLAVOUR COMBO! CLIF Bar, the #1 best-selling energy bar brand in the US and Canada, has delivered yet another incredible flavour, Peanut Butter Banana with Dark Chocolate! The taste of banana and creamy organic peanut butter blended with rich dark chocolate and crunchy peanut pieces offers a convenient, nutritious energy bar alternative to a classic flavour combination. This great tasting energy bar is made with a nutritious blend of organic rolled oats and wholesome, plant-based protein for sustained energy before, during or after physical activity. Each CLIF Bar recipe is thoughtfully crafted in the CLIF Kitchen with a nutritious blend of 70% organic ingredients that provide slow-releasing carbohydrates and 10g of protein, plus the added benefit of 11 vitamins and minerals in every bar. CLIF Bars provide sustained energy for the athlete and adventurer in all of us! 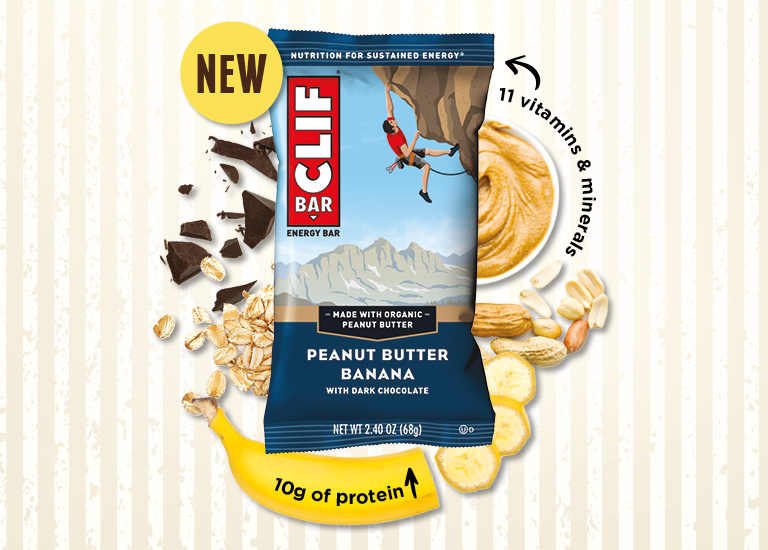 The Peanut Butter Banana with Dark Chocolate flavour joins the CLIF Bar family as the 9th addition to the original CLIF Bar range. Alongside three moreish flavours of CLIF Nut Butter Filled Bars and the quick-release energy range that includes both the innovative BLOK Chews and environmentally-conscious Energy Shot Gels. Exclusively distributed through Unique Health Products, the bar is available now in Coles, Woolworths, Independent supermarkets, pharmacies, convenience stores, sports stores and online. This classic flavour combination retails at $2.95 and is set to be the taste on every adventurers’ lips this Summer! Want to sell CLIF Bars? Now is the ultimate time to stock up! 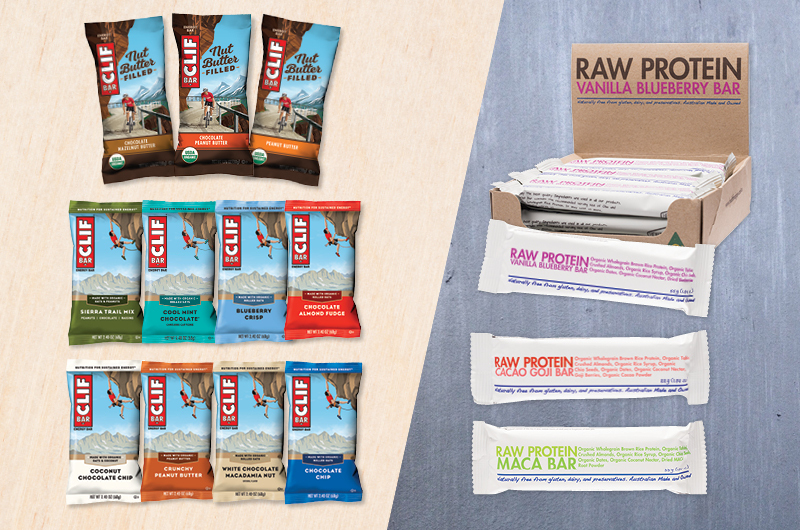 Take 20% off the entire CLIF Bar range for the full month of January 2019! PLUS! Send us an image of your discounted stock in store and get 20% off for your order in February too! Order online 24/7 or register an account with us here. 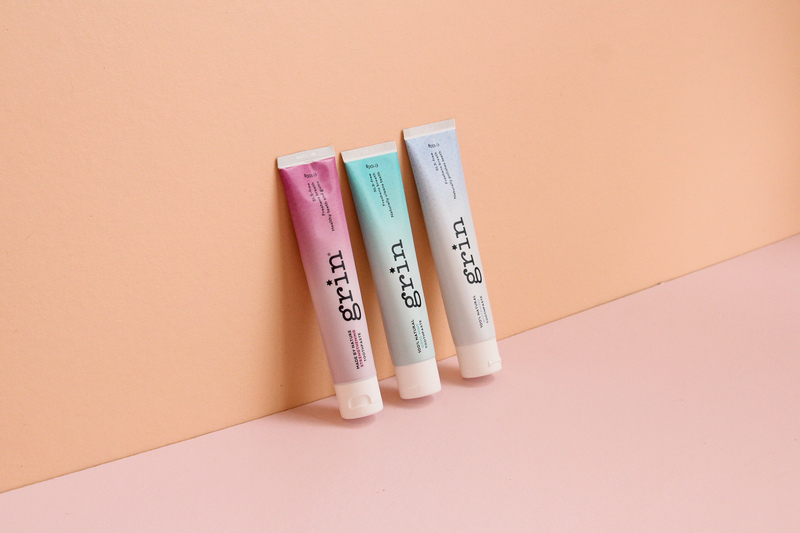 Grin Natural, the Kiwi business dedicated to making our pearly whites brighter the natural way, has finally hit Australian shores and the future for oral care retailers is looking oh-so-bright! Back in 2013, the Grin team set upon creating a product different to the rest. One that is 100% natural with NO sodium lauryl sulfate, NO added sugar, NO preservatives, NO artificial colours, NO artificial flavours, NO fragrance and NO harsh abrasives. It was as much about what they were leaving out as what they were putting in. In 2015 after 18 months of researching, testing and refining, Grin Natural was born! 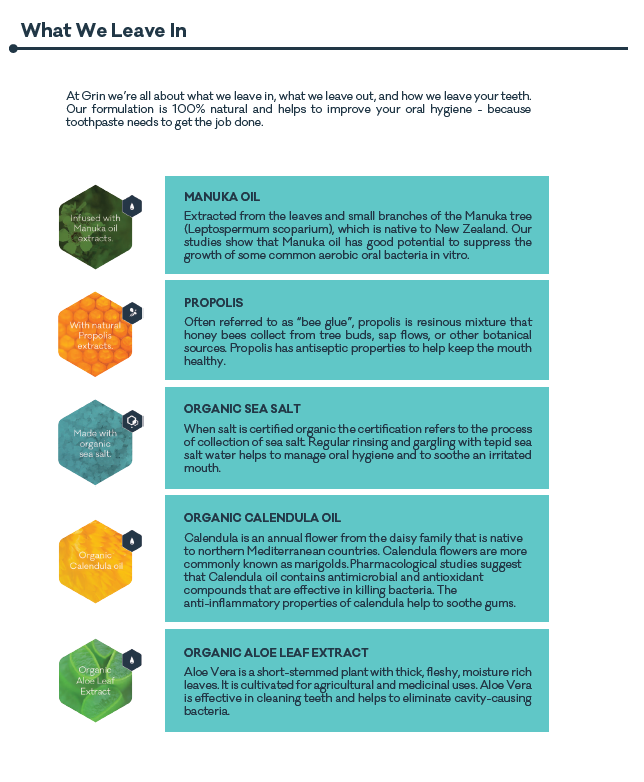 Not only is Grin toothpaste missing all the nasties, it’s natural active ingredients; Manuka Oil, Propolis and Organic Sea Salt, based on their laboratory test results, show good potential to combat the six common oral bacteria. Today, Grin Natural is stocked in over 400 retailers in New Zealand, including dental clinics nationwide! In fact, it’s the ONLY natural toothpaste stocked in New Zealand dental clinics! A healthy oral care ritual isn’t complete without a better-for-you-and-the-planet toothbrush! 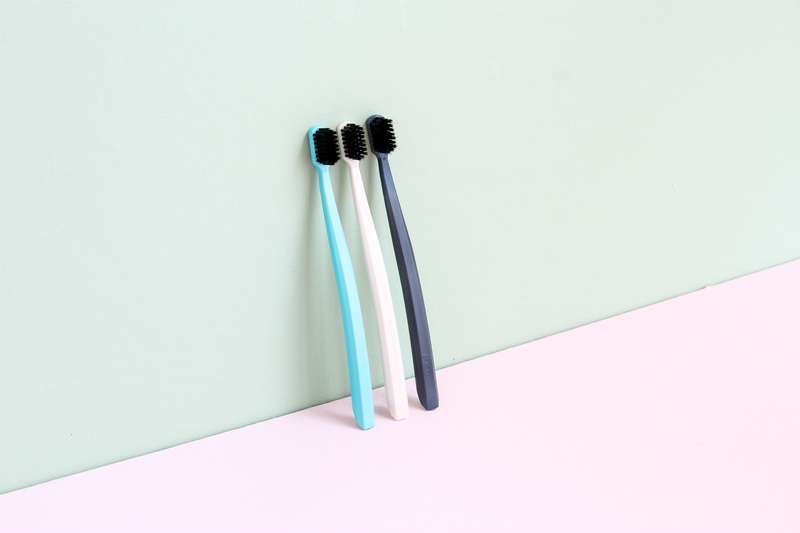 Beautifully designed and available in a colour palette that includes ivory, navy and mint, and pink and orange for kids, the Grin corn starch brushes are an eco-friendly alternative to the not-so-fantastic plastic toothbrush. The brush handle is made from sustainable non-GMO corn starch and will biodegrade in a home or commercial compost. Just use a pair of pliers to remove the bristles first and let nature do the rest. With packaging that is as sustainable as the brushes in them, Grin has created a consistent experience for the conscious consumer. The clear blister seal is made of PLA, a biodegradable plant-based plastic made from corn starch and the card backing is biodegradable too! The bristles on the adult brushes are infused with a premium activated charcoal; an ingredient that has been recognised for its antibacterial and detoxifying properties for thousands of years. Alongside brushing, the charcoal works to keep bacteria at bay whilst absorbing toxins and restoring the whiteness of teeth. The bristles on the kid’s brushes are extra soft rounded nylon bristles designed for sensitive teeth and gums. Grin don’t believe that kids need artificial sparkles or a fake bubble gum flavour to get excited about brushing… so they left the unnecessary extras out! Grin 100% Natural Kids toothpaste is a gentle and effective gel specifically formulated to give the kindest treatment to your little one’s baby teeth. Available in natural orange or natural strawberry flavour; delicious, real fruit flavours, the natural sugar-free xylitol adds a hint of natural sweetness and helps to prevent plaque build-up with regular brushing. 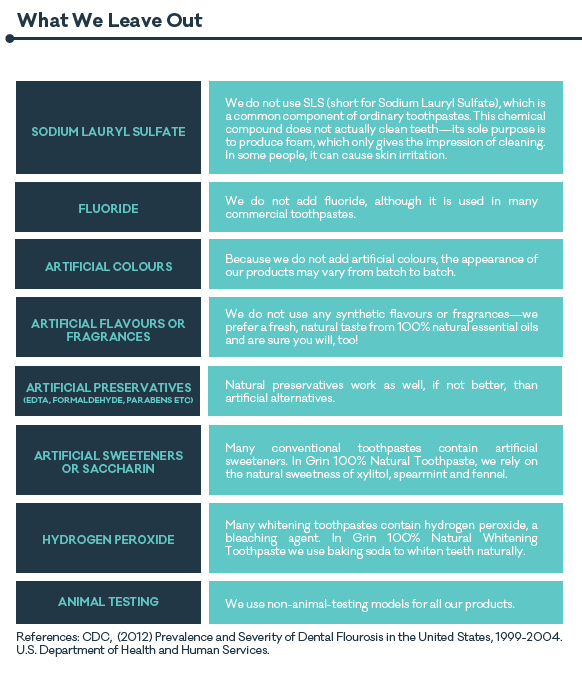 Grin is the natural oral care brand that New Zealanders trust and love! 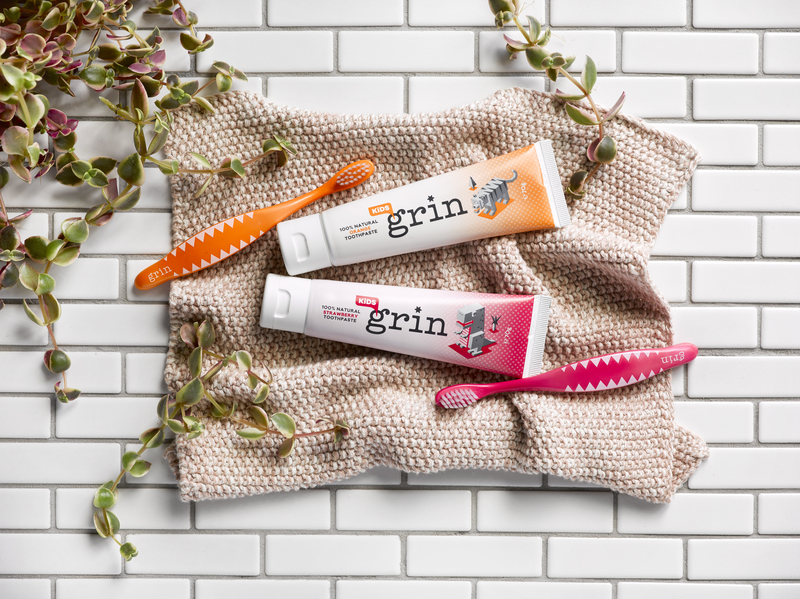 Freshen up your natural oral care offerings with Grin today! Order your stock via our online store 24/7. 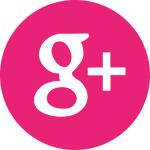 We’re the exclusive Australian distributors for Grin, and have over 3000 other products available! Not yet registered with us? Sign up here. The team at My Magic Mud spare no expense when it comes to sourcing the best, active ingredients to give your customers pearly whites, a healthy mouth and fresh breath. 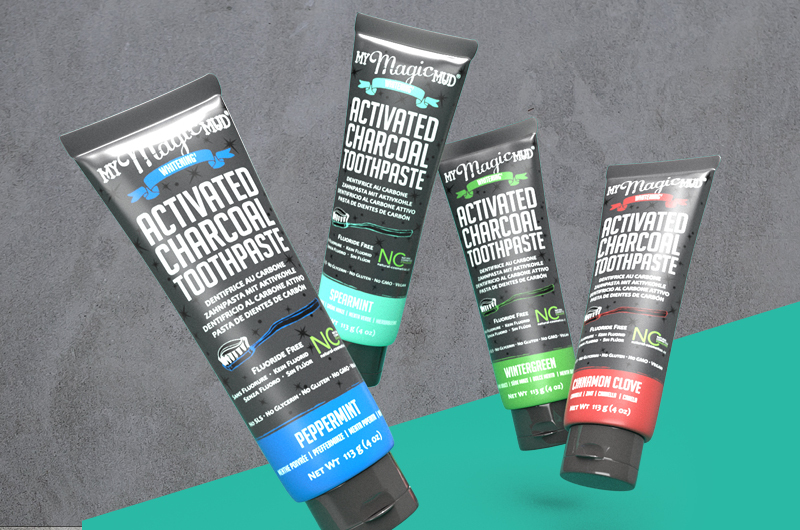 You likely know My Magic Mud as the pioneers in activated charcoal oral care. 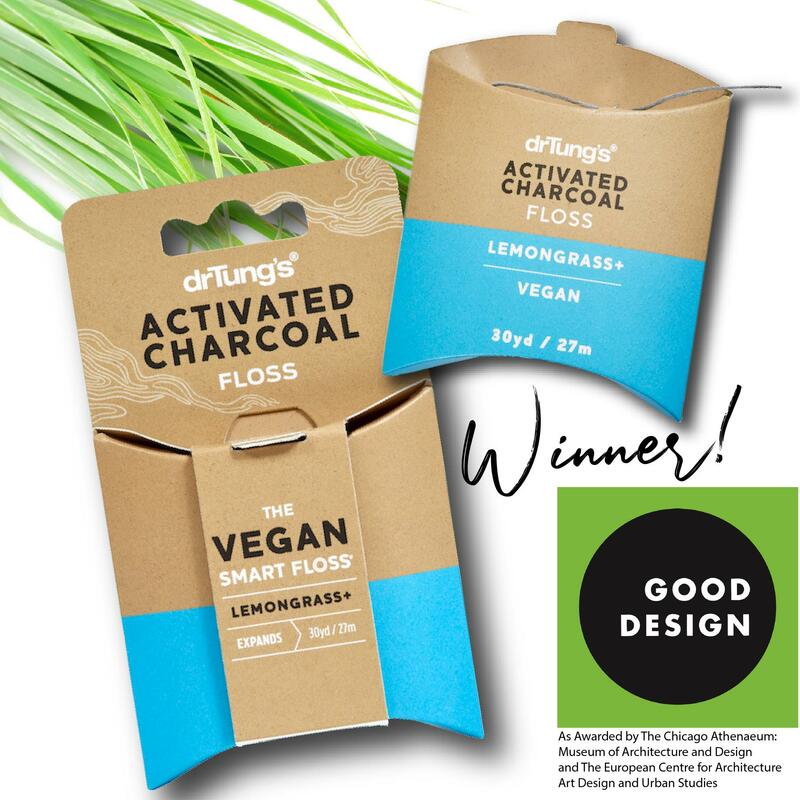 But when it came to creating the best, activated charcoal oral care range on the market, cofounders Jessica and James Arman were not going to be satisfied until they had created a product that not only contained the highest quality, activated charcoal, but a whole host of natural, tooth-friendly ingredients too! So what is this unexpected cavity-fighting ingredient? It’s xylitol! Researched for more than 50 years, it has a strong history in promoting dental health and is completely natural. Xylitol is a “tooth-friendly”, naturally occurring sweetener known as a sugar alcohol. It’s the only known sweetener that actively promotes dental health. Prevents the growth of bacteria that cause cavities by blocking their metabolism. Sweetens food without being a food/energy source for the bacteria that cause cavities. Helps the body absorb calcium during digestion. Triggers saliva production which dilutes tooth-decaying acid. The uniqueness of xylitol is that it is practically nonfermentable by oral bacteria. When consumed regularly, it helps to reduce the number of Streptococcus mutans, a specific strain of cavity-causing bacteria, as well as the amount of plaque on teeth. It comes from the fibre of many trees, fruits, and vegetables with manufacturers typically extracting it from corn husks & cobs, berries, oats, mushrooms, hardwoods, and the leafy stalks leftover from sugar cane. It’s naturally lower in calories and won’t spike your blood sugar levels like regular table sugar does, making it an amazing sugar alternative for cooking too! Did you know dental caries (cavities) is the most common disease affecting mankind? According to the Oral Health Tracker report, 90% of Australian adults have some form of tooth decay, almost three-quarters of children eat too much sugar and more than one-third of five-year-olds have decay in baby teeth! 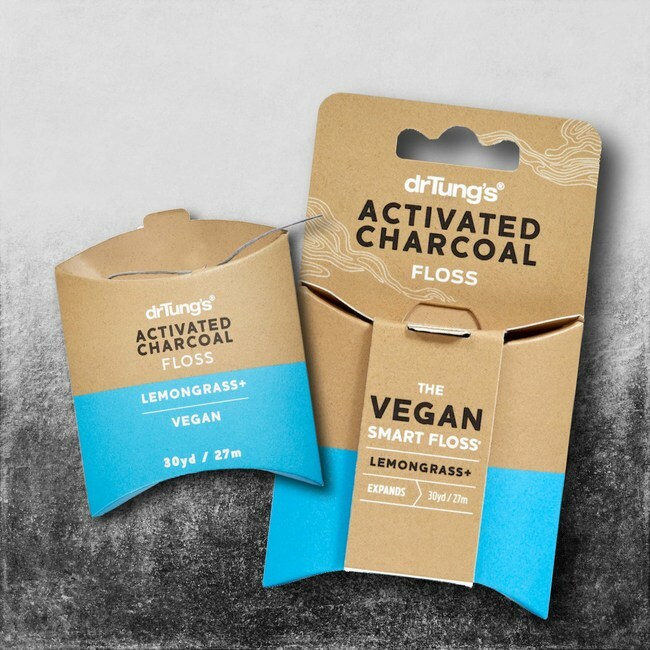 Activated Coconut Shell Charcoal – whitens teeth through a process called “adsorption” as opposed to “absorption”. It literally pulls out stains from the pores of the teeth. Bentonite Clay – pulls impurities, toxins, and bacteria from the mouth. It removes plaque with every use and helps rebuild enamel by depositing minerals back into the teeth which helps rebuild the enamel. Diatomaceous Earth – the abrasive action is gentle enough for teeth but strong enough to remove plaque and tartar. It also promotes healthy tooth enamel which prevents tooth decay and receding gums. Coconut Oil – a natural tooth whitener and detoxifies the mouth and pulls out impurities. Grapefruit Seed Extract, Tea Tree Oil, Sweet Orange Oil, and Rosemary Oil – used for their antiseptic, antibacterial, and antimicrobial properties. But hold onto your (biodegradable) toothbrush, the benefits don’t stop there! My Magic Mud do a brilliant job of naturally supporting healthy teeth and gums, but they also have the environment and animals in mind too. The range is long-lasting with approximately 150 uses per Tooth Powder tub and 200 uses per Toothpaste tube. The Toothbrushes are earth-friendly using sustainable bamboo and bioplastic, and the entire range is vegan, cruelty-free, and non-GMO! Need to add a lil’ My Magic Mud magic into your store? Explore the full range and order them online here, or if you’re not yet a Unique account holder, get started here! What began as a desperate effort by a father to treat his son’s eczema has become one of Australia’s most touching success stories. 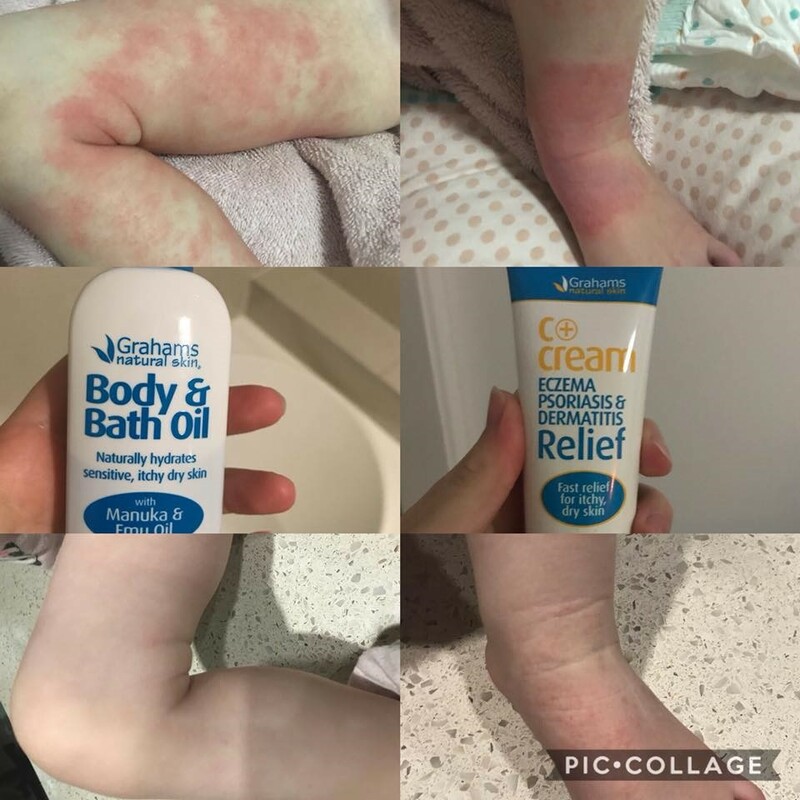 Grahams Natural was founded by Geoff Graham who, after suffering a lifetime of eczema himself, discovered that he had passed down the skin condition to his son, Ryan. Dissatisfied with the products that were currently on the market, Geoff, along with his wife Shannon, decided to develop and formulate a natural alternative for Ryan’s sensitive skin. The pair spent years researching and sampling their own mixtures of all-natural, raw materials and until finally, they formulated a natural eczema treatment. Grahams Natural sets the highest of standards as they manufacture a complete line of approved skincare solutions for people with conditions such as eczema, psoriasis, dermatitis and rosacea right here in Australia. Due to the high rate of skin conditions in Australia and the substantial growth and demand for natural, effective skincare products, Grahams has seen significant growth and sales success as the perfect natural treatment choice for Eczema, Psoriasis, Dermatitis and Rosacea. 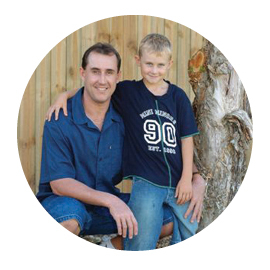 The success of their original therapeutic creams and ointments has led to a series of other extremely successful products that have helped not only Geoff and his son Ryan, but countless others who suffered from skin disorders worldwide. Over the past 17 years, Geoff and the Grahams team have continued to expand the range, formulating products with only the highest quality natural ingredients to effectively treat skin problems. All Grahams products are specifically designed to be effective, natural and skin-protective, allowing the skin to heal, naturally. It’s a no-brainer addition to your skincare collection! Find out more below. All ingredients in the therapeutic product range have been clinically tested and are classified as a Class I Medical Device according to the Australian Register of Therapeutic Goods. 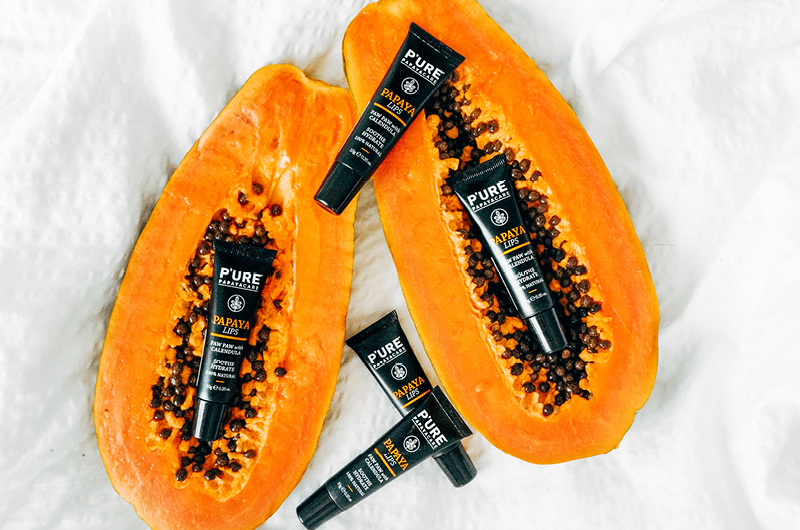 Formulated with all-natural ingredients, this cream is enriched with manuka honey, calendula, jojoba seed oil, sea buckthorn oil and centella asiatica. These ingredients soothe, calm and reduce inflammation while replenishing the skin’s natural oils. They calm and reduce inflammation, control bacteria, hydrate and create a protective barrier on the skin. Grahams Psoriasis Cream is a natural non-sterile topical emollient that assists in the symptomatic relief of psoriasis. Humectants, antioxidants and mild keratolytic agents compliment the emollient moisturising action, helping to soften, soothe and normalise skin structure and function. Grahams Natural Rosacea Cream is a non-sterile topical emollient, moisturising therapy to assist in the management of Rosacea. It’s low irritant, fragrance free and offers symptomatic relief of rosacea through potent antioxidants and mild anti-irritant agents which complement the emollient moisturising action. The cream helps to improve skin homeostasis and deficient stratum corneum barrier function with regular use. Annamaree Menzies, January 15th, 2018. Grahams Natural Shampoo and Conditioner utilises the most innovative hair care active ingredients to ensure hair is left shiny and most importantly, healthy. They are free from astringent sulphates and harsh chemicals which can strip the scalp of its natural oils and irritate the skin. Grahams Natural Body Wash is a natural body wash formulated for those with sensitive skin. Enriched with essential oils to gently cleanse and purify the body without drying, it also contains a lipid layer enhancer that helps protect the skin and not strip important oils. Available in Manuka Honey & Coconut and Cucumber & Aloe Vera. Grahams Natural Moisturising Lotion restores the skins moisture balance by deeply nourishing and to help soothe dry skin. Grahams Natural Baby Eczema Cream & Bath Oil are gentle formulations for the relief of eczema. Clinically tested to help with eczema and atopic dermatitis. They provide a protective coat over the skin to lock in moisture and reduce inflammation. Grahams Natural Nappy Rash Cream is a natural, soothing, moisture-buffering nappy cream that helps to support healthy skin and protect delicate skin from irritation and redness. Grahams Natural Organic Cradle Cap Oil is formulated with a variety of natural organic ingredients to soften the scalp, moisturise and help repair the skin barrier. It comes with a complimentary comb to help remove flaky skin. Grahams Natural Baby Hair & Body Wash and Moisturising Lotion protects and soothes baby’s sensitive skin. These nourishing formulas are gentle enough to use every day and leave skin soft and smooth. Ready to put Grahams Natural on your shelves? Purchase your stock via the online store. It’s open 24/7! 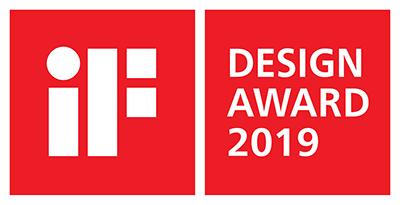 Not yet registered with us? Sign up here! 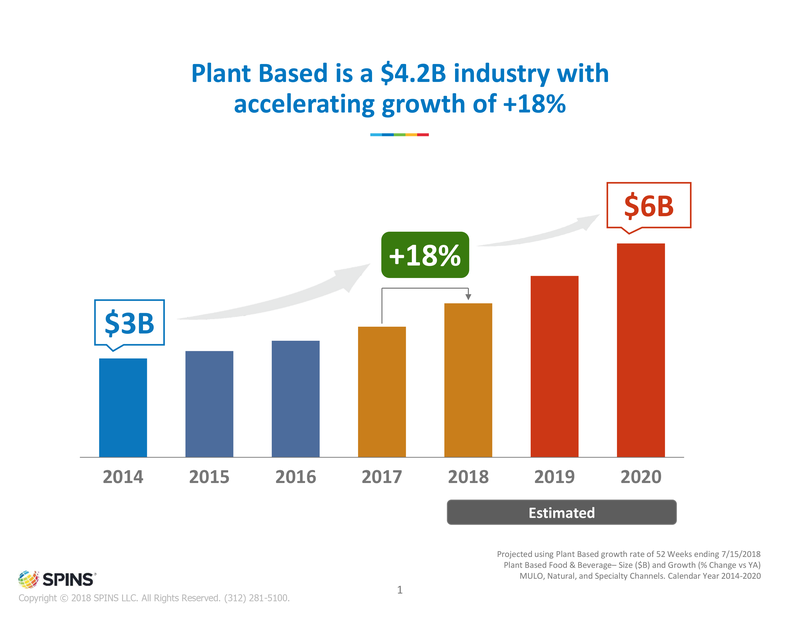 According to the most recent SPINS’ analysis, the ‘plant-based’ goods industry is projected to be worth $4.2 billion by the end of 2018 after growing 18 percent in the year ending July 15, 2018. 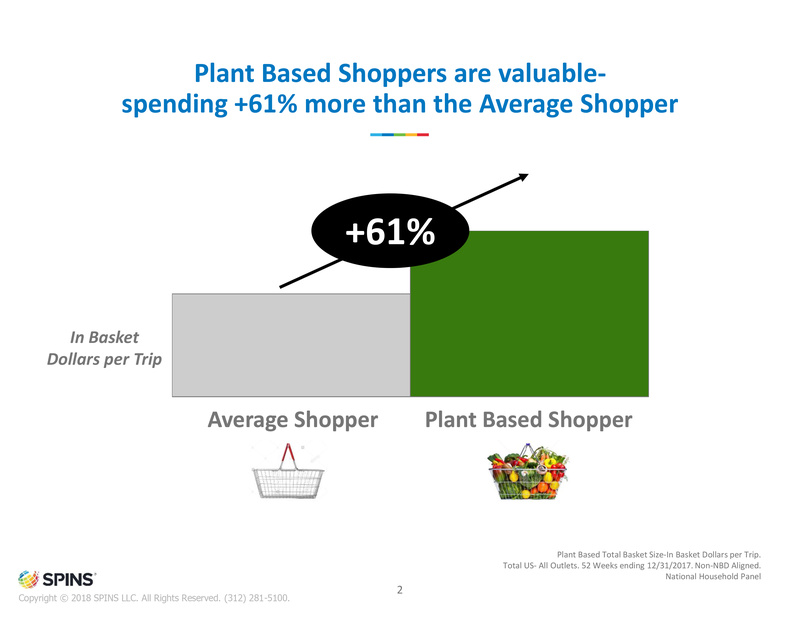 SPINS estimates that the plant-based sector will grow to $6 billion in sales by 2020, which would be a 100 percent increase over just six years! Packaging. 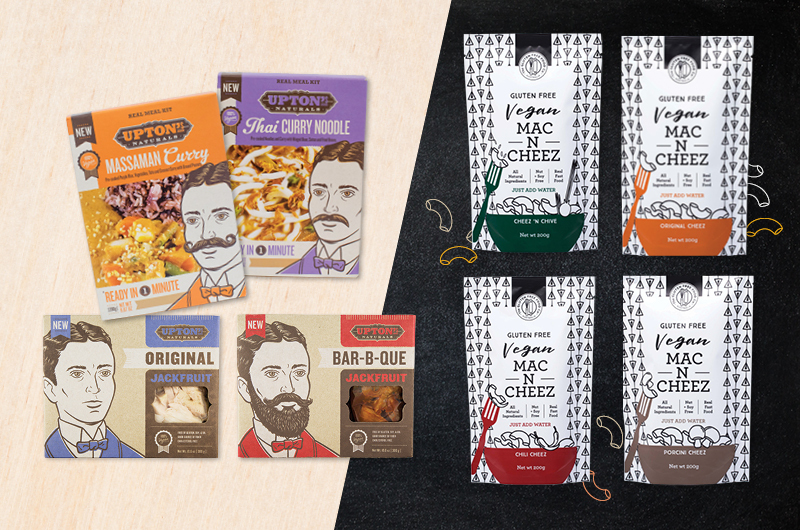 Improved packaging that draws attention and makes plant-based alternatives much more appealing. 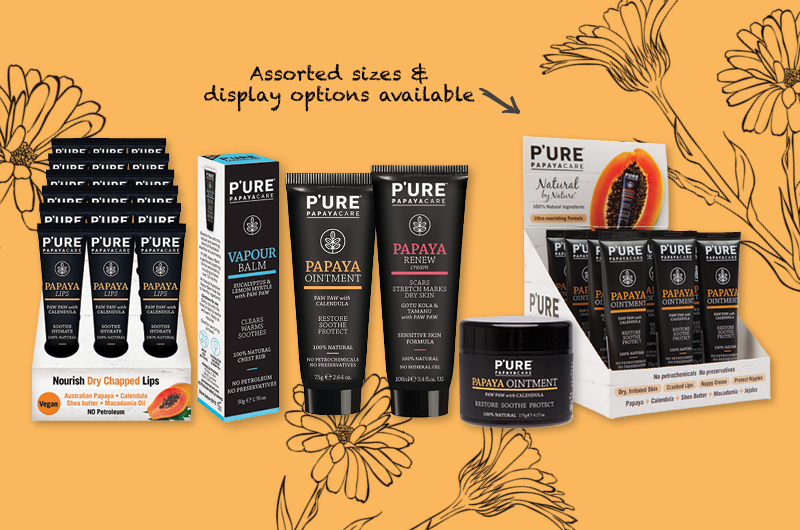 At Unique, we pride ourselves on our extensive plant-based selection of health and wellness products. Upton’s Naturals – Real Meal Kits and Marinated Jackfruit are quick and easy options that continue to prove popular. The Gluten Free Food Co – ‘Just add water’ Vegan Mac N Cheez range is a hot seller! CLIF Bar – CLIF Bars and CLIF Nut Butter Bars fuel the adventures of both non-plant-based eaters and vegans alike! The Health Food Guys – A healthy & nutritional raw protein bars range that contains raw superfoods, plus they’re vegan vegan-friendly, gluten and dairy free. East Bali Cashews – This sustainable, fairtrade company produces a range of mouthwatering, plant-based delights in attractive packaging with a great price point! Little Zebra Chocolates & Little Zebra Food Co – Little Zebra Food Co make sugar-free chocolates that feature popular superfoods including hemp seeds! Their Carob Buds are also loved by consumers looking for a delicious caffeine-free alternative. Alter Eco – The always-coveted Alter Eco range has expanded with these plant-based Dark Chocolate Coconut Clusters in three incredibly moreish flavours. Manitoba Harvest (featured in header image) – This innovative brand is taking hemp to a whole other level with their Hemp Bites providing a mix of healthful omega-3s and protein for hungry consumers on the run. 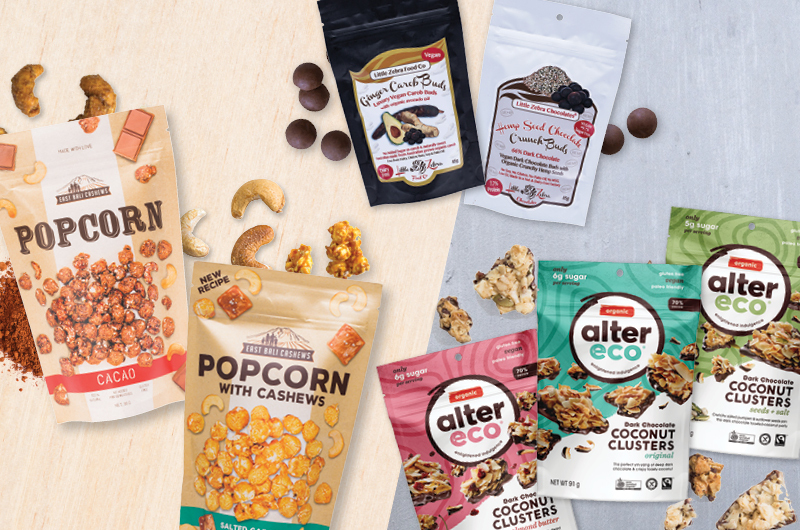 Make sure you’re making the most of the plant-based boom by stocking up on these popular products as well as our other collections. Simply order online anytime! You can select which items are vegan-friendly with a single click of a button (see below)! Not yet registered with us? Sign up here!